Alley's General Store, still standing after many years. 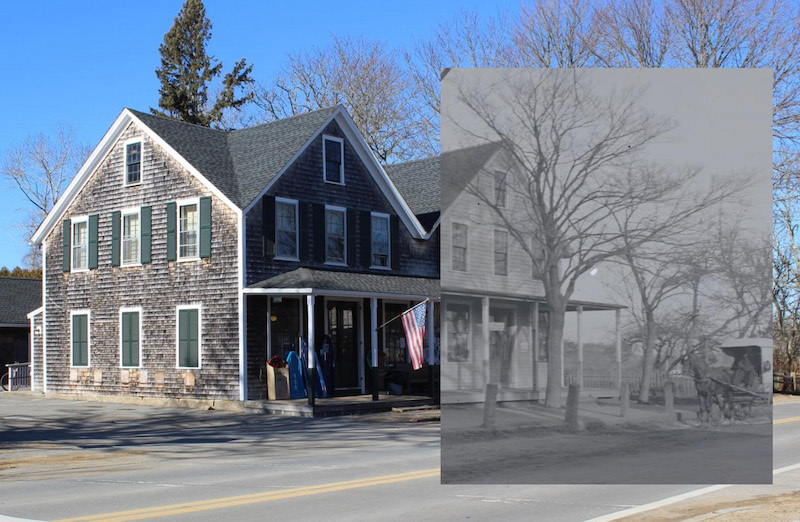 Lost and Found, a new exhibit at the Martha’s Vineyard Museum, uses photography to explore iconic Island structures, businesses, hotels and landmarks, some no longer standing. The exhibit pairs historic photographs from the museum collection with images taken from the same spot today. 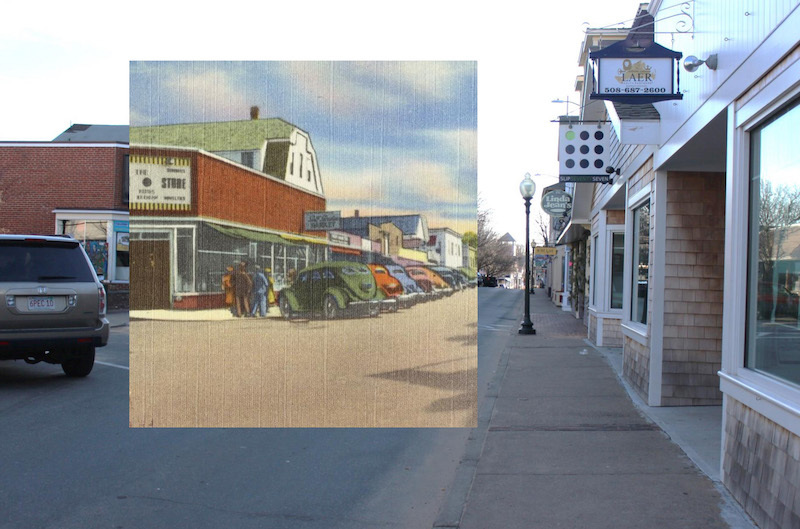 In some cases the photos show parts of the Vineyard that are lost to time, such as the Oak Bluffs roller skating rink or the Sea View Hotel with train tracks alongside it. In other cases the landmarks featured in the photos still exist today — looking very much the same, and often well-known around the Island — but in some cases with a new identity or purpose. These found places include Alley’s General Store, Flying Horses Carousel, and the Gay Head lighthouse. Whether still standing or lost to time, all of the places tell a story about a constantly-evolving Island. The exhibit opened last week and will run through June 3 at the museum’s Edgartown campus. Admission is free and open to all. Visit mvmuseum.org for more information.